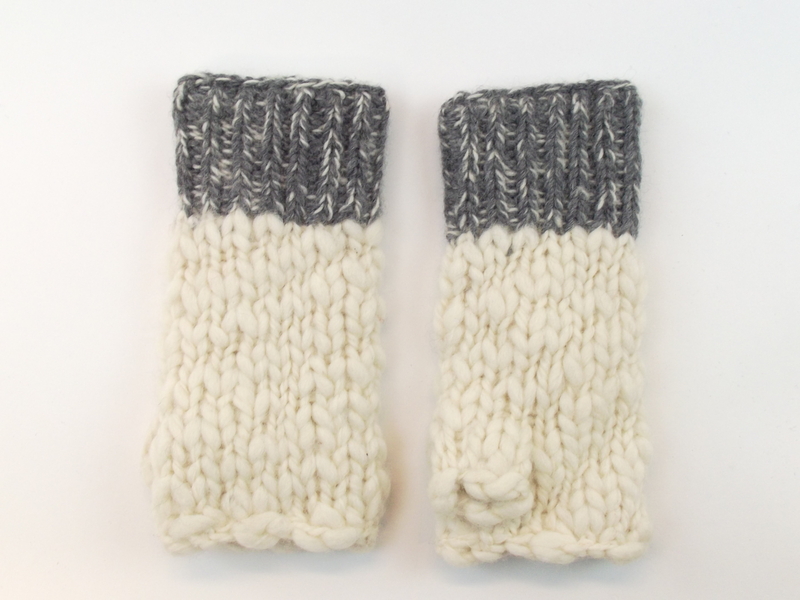 Luxury Thick Knitted Hand Warmers in Grey 100% Wool with fleece lining for extra warmth and comfort. Ideal on a cold winters day, soft to touch and very warm and easy to wear. Hand Warmers are one size and are conveniently fingerless leaving your hands warm but free! Hand Warmers and matching Bobble Hat also available in Blue. Available in matching Uneven Wool Bobble Hat Grey.